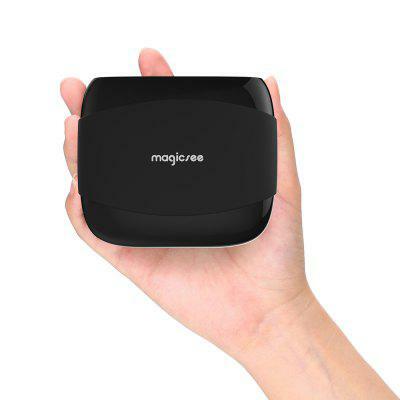 Android TV OS is getting more and more popular in TV box, and Magicsee N5 features Android TV OS. This model comes with Amlogic S905X featuring Android 7.1.2 2GB RAM + 16GB ROM 2.4G + 5G WiFi 100Mbps BT4.1 Support 4K H.265. Check price and more. We have talked Magicsee N4 TV Box (1+8GB version) before which comes with Amlogic S905X, and it is small enough to fit your palm. It runs on Android 6.0 system. But we found that this model have 2+8GB and 2+16GB versions now. Check price and more. Users can enjoy the high-definition images and play large games without going outside. 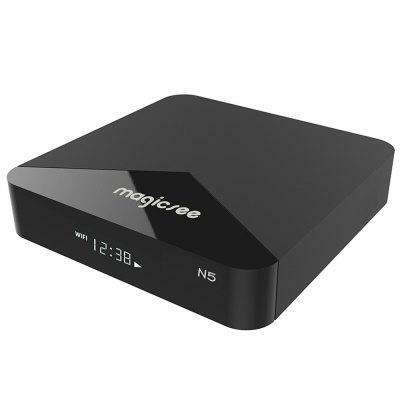 But we found nothing special for this model compared with others, although it sister models Magicsee C400 Plus and Magicsee C100 DVB S2 + T2 / C TV Box can be classical in the industry.